It's officially the start of Fashion Week at Bellevue Collection! I am so excited to be attending the Independent Designer Runway Show, Posh Party Trend Show and Front Row Fashion Show presented by Vogue. Now I just have to figure out all my outfits! 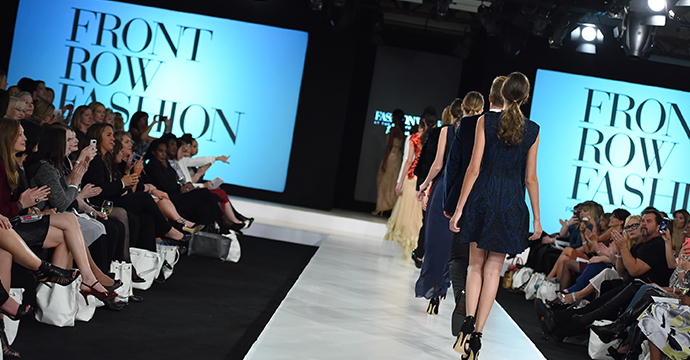 From September 21-25, 2016, the best of fall fashion comes to life on the runway at Fashion Week at Bellevue Collection. As the Northwest's leading runway show venue, experience exclusive runway shows, trend reports and demonstrations, chic parties and of course lots and lots of shopping at Bellevue Collection stores (hello Nordstrom, Zara, Uniqlo, DVF, and so many more of my favorite shopping spots!). And while many of the premier events are now sold out, you can still join in on the fun of Bellevue Fashion Week! I'll be sharing recaps of all the shows here on Story of My Dress and also live on Story of My Dress social media (Instagram, Pinterest, Twitter, Facebook). You can also attend some fabulous FREE (Yes, Free!) shows and events with no ticket needed (some require an appointment or RSVP). Complimentary events include a fashion forecast with Vogue Market Stylist Cara Crowley, Catwalk at the Collection Fashion Shows, Fab in Five with complimentary hair and makeup touch-ups and more! Vogue Market Stylist Cara Crowley talks Fall 2016 trends and gives her insider take on how to make them more accessible for an lifestyle. Seating is limited and complimentary. Have five minutes? Prepare to meet a fabulous new you! Enjoy quick, complimentary hair and makeup touch-ups and first-hand tips from beauty boutiques featured at Bellevue Square. Have fun and walkaway fabulous in five minutes! Find your style POP at the annual Michael Bruce Image Consulting "pop up" tent at Fashion Week at the Bellevue Collection. Bruce Pflaumer and his style team will be hosting a series of complimentary Style Seminars focused on fall and winter 2016 trends, tips to decrease style anxiety and tips to increase style savvy. Style Consultations are also available are are free, on one-on-one appointments with Michael Bruce Image Consulting founder, Bruce Pflaumer. *To schedule your complimentary, 20 minute consultation and/or to attend a Style Seminar, contact Stacy Heller at stacyeh@michaelbruceimage.com. Experience the latest in fall fashion on the runway in the heart of Bellevue Square. Each 10 minute fashion show highlights the hottest styles available at Bellevue Collection and will leave you inspired. Shows are complimentary. Be inspired by Fall's most desirable trends on display in free-standing fashion frames throughout Bellevue Square. Each curated look features hand selected pieces available at participating Bellevue Collection stores. If you're not in the Seattle or Bellevue area, or perhaps you're looking to make a weekend of Fashion Week at Bellevue Collection, The Hyatt Regency Bellevue is offering a very special Retail Therapy aka Shopping Package. With the Bellevue Collection Shopping Package you get a Bellevue Collection Certificate for $50 per day, complimentary self parking for one vehicle, and a late check out time of 2pm the day of departure! Most events are right on site at the Hyatt, making this the perfect treat yo' self weekend! And there's an amazing Sunday brunch, just sayin'. Find more information about Fashion Week at Bellevue Collection HERE.